Its always a pleasure to see your work here. 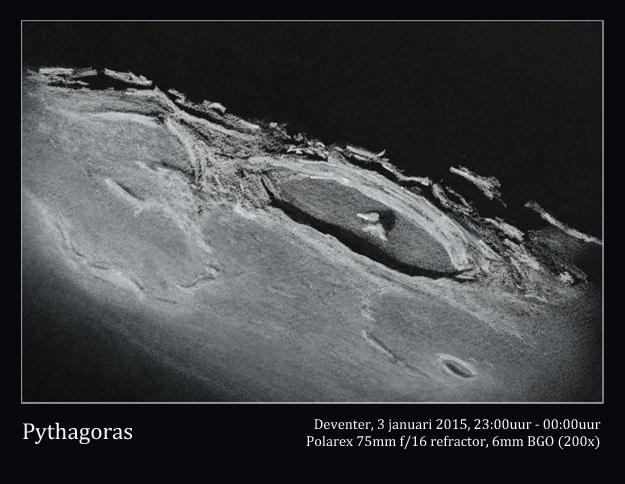 Glad the skies cleared for you and wonderful work on capturing crater Pythagorus in your 3″. I especially like the stepped walled surface and details of the crater rim. I know how you feel, I am based in Ireland! 🙂 Even when its clear its misty. I did get to Lovejoy once so guess I can’t complain. Great sketch.